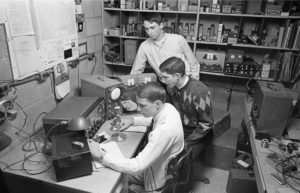 WGCS radio, also known as 91.1 FM The Globe, started in the 1940s at Goshen College with a shoddy transmitter, a lot of copper wire and a small group of passionate communicators. It is now celebrating its 60th anniversary as one of the most successful college radio stations in the country. Laura Hoover, a senior broadcasting major and current station manager at The Globe, loves to tell the story of how WGCS was born. In 1952, the Goshen College broadcasting experiment, which had already been broadcasting chapels and other campus events for years, became a bit too successful. “Someone left the transmitter on and had an alarm clock by the mic,” said Hoover. The students’ original plan was to see how far they could get their signal. “But while they were running their tests, the FCC was running their scans,” said Hoover. The FCC picked up on the ticking of the clock over ten miles away in Milford, Indiana, and told the students they had to shut down. Luckily, the class of 1956 gave a gift that funded the official launch of WGCS on Oct. 2, 1958. 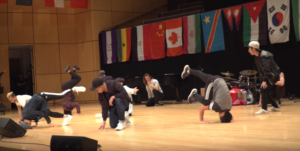 Today, what began as a passion project for a handful of students remains largely the same thing, but now with listeners all around the world. The Globe has accomplished major things in the last decade. In 2008, when the Globe turned 50, it had only been four years since the station made the switch from a classical music format to its now famous ‘“culturally progressive” Americana tunes. Jason Samuel, assistant professor of communication and general manager for The Globe, said that people in the college radio community had never heard of Goshen College. “Now people know who we are,” said Samuel. 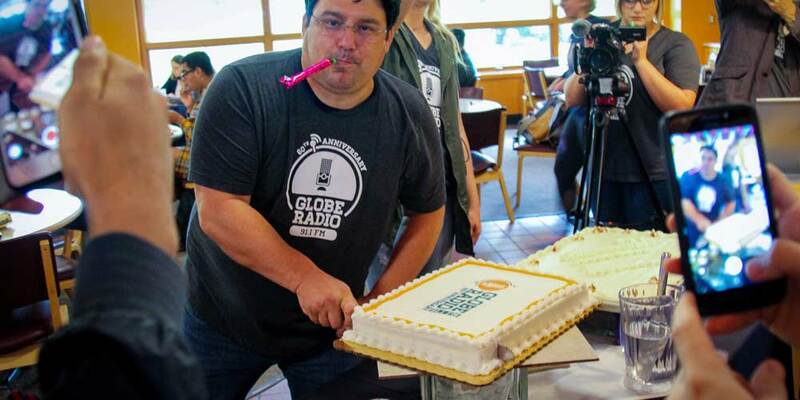 Yet, despite the station’s success, The Globe means so much more to its staff than hardware. “We genuinely love the radio,” Samuel said. 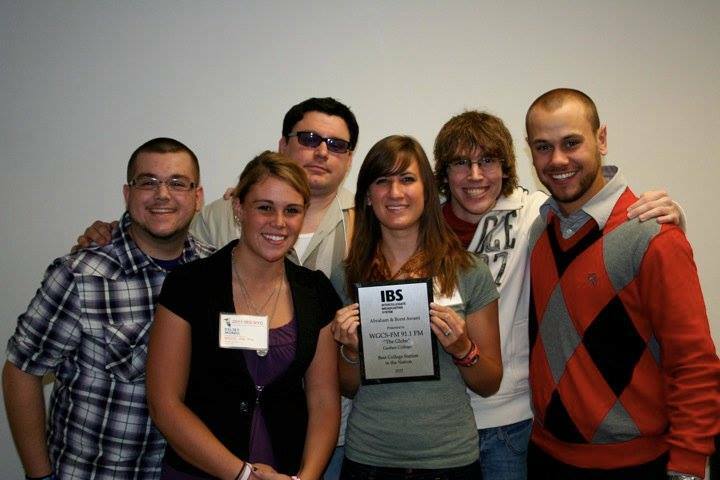 WGCS’s first Best College Radio Station in the Nation title (pictured, L-R): Jimmy Cassoday, Kelsey Morris, Jason Samuel, Trisha Handrich, Andrew Witkowski, and Benjamin Kelly. In 2013, WGCS was the first college to repeat for Best College Station in the Nation and Indiana’s Radio School of the Year. 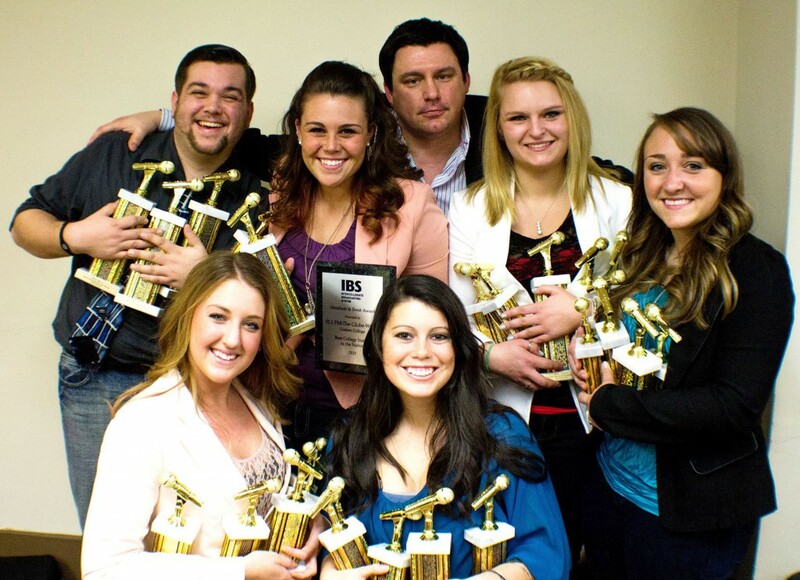 Jason Samuel (back) and students (front) Samantha Danforth, Maria Bischoff, (middle) Jim O’Day, Kelsey James, Ashley Davenport and Danielle Kerschhackl hold their national awards in New York City on March 2, 2014. To celebrate the station’s 60th anniversary, The Globe will be hosting numerous events over the course of Homecoming Weekend, Oct. 5 to 7. Beginning on Oct. 5, The Globe will be broadcasting First Fridays live from the station’s downtown studio in Ignition Music Garage. 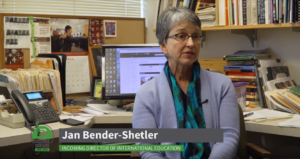 Then, on Saturday, Oct. 6, there will be open house tours from 1 to 3 p.m. of The Globe’s Goshen College studio in the Union Building on campus, and visitors will be invited to record their own custom liners for broadcast. Later that day, at 3 p.m., will be an official celebration of the past 60 years of WGCS / The Globe with staff members past and present. And finally, on Sunday, Oct. 7, The Globe will broadcast an hour-long audio documentary at 6 p.m. and 11 p.m., produced by Hoover, that documents and celebrates both the history of The Globe and the characters that made it what it is today. The Globe will also have giveaways available at these events during Homecoming Weekend. 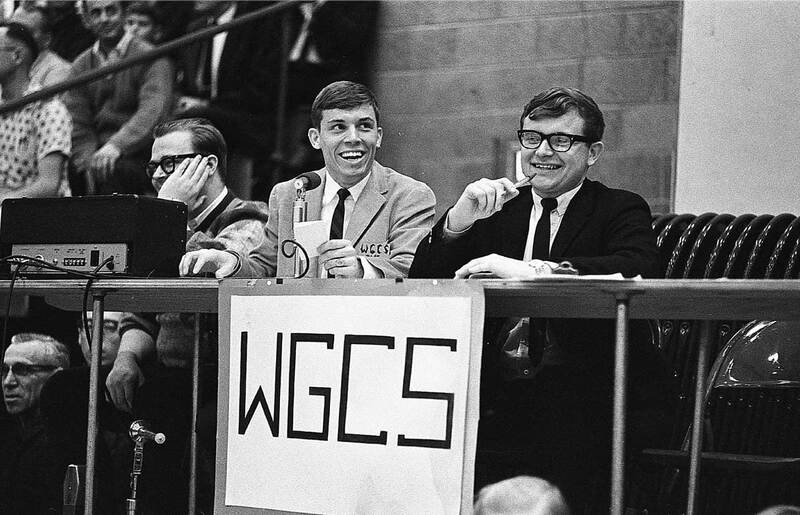 Following Homecoming Weekend, WGCS will continue to celebrate the station’s 60th in other ways. From June until December, The Globe is featuring a different artist every month. Samuel and Hoover hope to use the 60th anniversary to launch the station into the future. “We hope to have a couple special announcements, and we’ll be rolling out the official launch of Globe Media,” Samuel said. 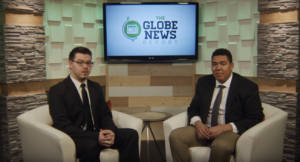 Globe Media, one of the communication department’s most ambitious projects to date, will unify content from the college’s student radio, broadcasting, sports and news media outlets.